Description: Book has small split at upper front and lower front spine edges. Front fore edge corners have light creasing. Moisture spotting/staining to small area on front wrap. A few other soil spots on front and rear wraps. Spine is age toned. 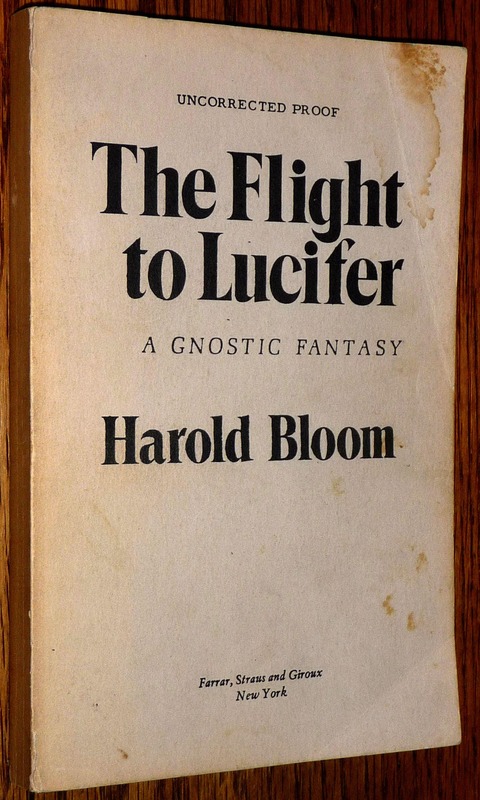 Rare Uncorrected Proof / Advanced Reading Copy (ARC) for Harold Bloom's only work of fiction. 1979.